Here is a 30×12 storyboard photo commemorating Newcastle’s Fairs Cup victory. 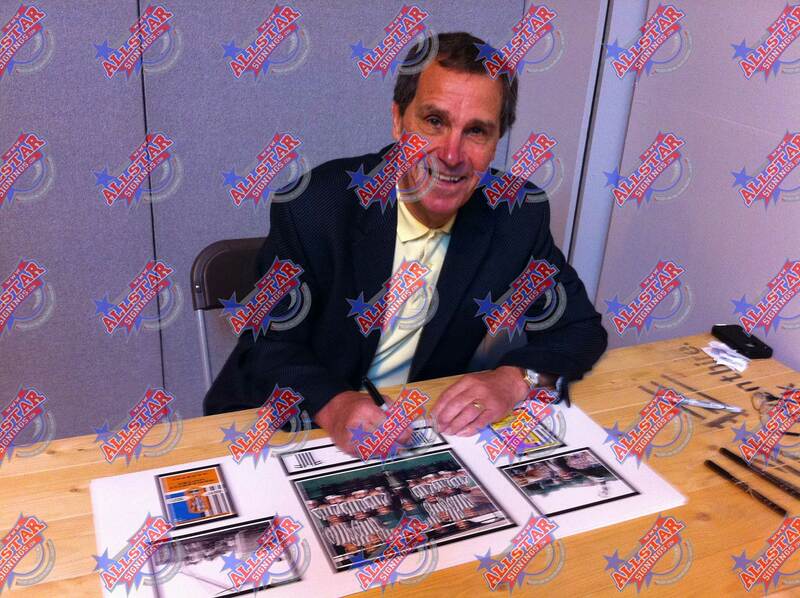 The item was signed by Captain Bobby Moncur at a signing session carried out and attended by Allstarsignings in Birmingham, 31st March 2012. The item comes with an Allstarsignings certificate of authenticity which will have photographic proof inserted into it and our tamper-proof hologram. Bobby Moncur was one of the greatest captains ever to play for Newcastle United. He was a strong-tackling centre-back, commanding in the air and with an exceptional reading of the game. However, he will probably be remembered most for the hat-trick of goals he scored in the 1969 Fairs Cup Final against Ujpesti Dosza which won the trophy for United. 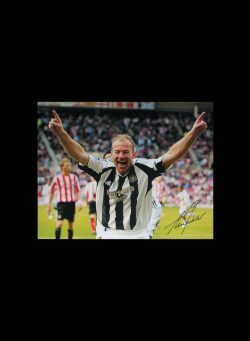 Alan Shearer signed 16×20 Newcastle United photo. 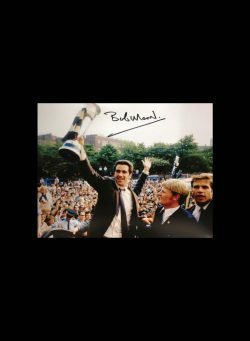 Bobby Moncur signed 10×8 photo.